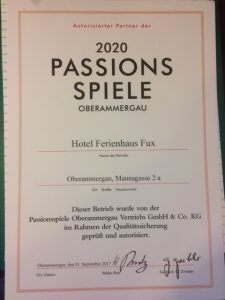 You like to come 2020 to see the passionplay in Oberammergau ? 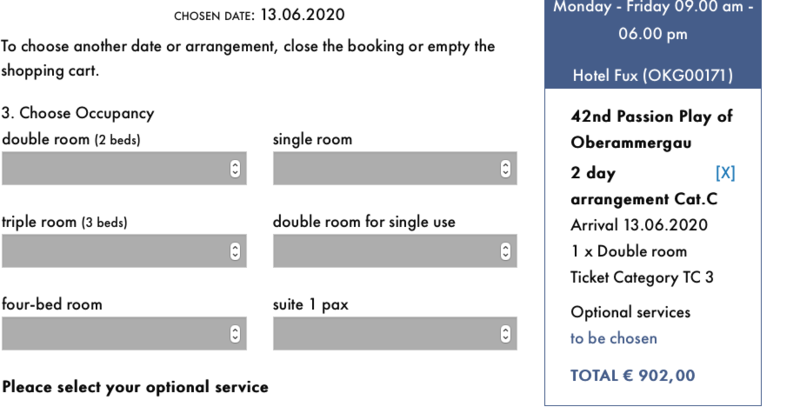 You like to stay in Oberammergau and walk to the theatre ? You like to get best available tickets ( category 1. ) ? You like to have family rooms with 3 or 4 beds to share and SAVE BIG ( up to 20% on 3rd + 4th bed) ? If yes, WE are YOUR match ! Our house is official license partner of the Passionplay 2020. Simply drop us your email contact, well get in touch with you in terms of available dates, packages, prices !. Official sale started march 2018, so be quick ! The premiere of the 42nd Passion Play will be on May 16, 2020. 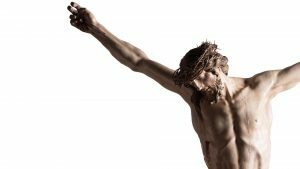 The tradition, maintained and experienced almost without interruption for over 380 years, of putting on the play about the suffering, death and resurrection of Christ every ten years is regarded as the most important passion play in the world. The village at the edge of the Bavarian Alps expects approximately 450,000 visitors for the passion play, over half of which will be international guests. For the next Passion Play, there are 102 performances planned. You can pre-register yourself now and can stay in contact with us. You will find further information and news on this website. A play of life and death, promised in a moment of mortal threat – so began the history of the Oberammergau Passion Play in 1633. In the middle of the Thirty Years War, after months of suffering and death from the plague, the Oberammergauers swore an oath that they would perform the “Play of the Suffering, Death and Resurrection of Our Lord Jesus Christ” every ten years. At Pentecost 1634, they fulfilled their pledge for the first time on a stage they put up in the cemetery above the fresh graves of the plague victims. In the year 2020, the Community of Oberammergau will perform the Passion Play, they have preserved throughout the centuries with singular continuity, for the 42nd time. All actors of the world’s largest amateur dramatic performance come from the village, since a special play law is in effect. All participants, from actors playing the big speaking parts such as Jesus, Mary or Judas, through members of the choir, orchestra members, firemen and ushers, must have been born in Oberammergau or lived there for at least 20 years. Over 2000 participants brought the story of Jesus of Nazareth to the ears and eyes of the audience in a five-hour presentation on the imposing open-air stage. Almost half of the inhabitants of Oberammergau enacted with great devotion the story of Jesus whose message gives billions of people hope and strength. The play covers the period of Jesus entering Jerusalem and continues up to his death on the Cross and his resurrection. The new production, under the direction of Christian Stückl and the artistic team of the Passion Play in 2000, the stage designer Stefan Hageneier and the music directors Markus Zwink and Michael Bocklet, reflected the tremendous community achievement. For ten months the villagers playing the roles of Jesus, Mary, Pontius Pilate and the apostles, of the children, soldiers and priests rehearsed the newly revised text whilst the orchestra and the singers studied the exceptional music created for the performance by the composer Rochus Dedler.